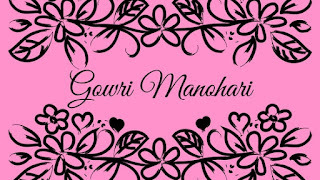 Gowri Manohari raga is a spiritual raga which brings in a sense of calmness to the listener. This is the perfect raga to be played during rituals at home and devotional festivals in temples. There are some soulful melodies in Tamil films which have been composed using this raga. In fact, this is one of the favourite ragas of Ilaiyaraaja and he has based many of his songs on this raga. 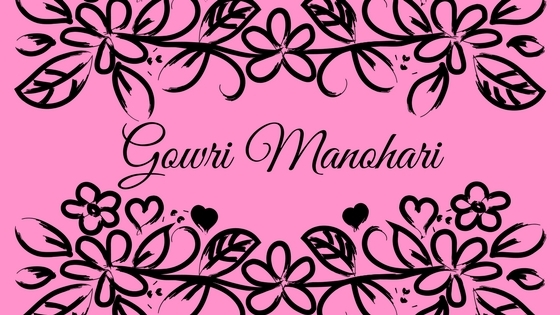 Let us see some of the amazing Tamil songs in Gowri Manohari. One of the oldest compositions in Gowri Manohari is the ever-popular Paattum Naane from the 1965 superhit movie Thiruvilaiyadal. Composed by K.V. Mahadevan, this divine song was rendered flawlessly by T.M. Soundarrajan. Even the interesting interludes display the awesomeness of this raga. Another mesmerizing song in this raga is Malare Kurinji Malare from the 1975 Sivaji Ganesan starrer Dr. Siva. Sung effervescently by K.J. Yesudhas and S. Janaki, this wonderful song was composed by M.S. Viswanathan. The music composer used this raga effectively in an astounding semi-classical song Gowrimanohariyai Kanden from the movie Mazhalai Pattalam. With the raga’s name as the starting phrase, this number displayed the raga at its purest form. All the sangadhis were incorporated and crooned ideally by S.P. Balasubrahmanyam and Vani Jayaram. As mentioned before, Ilaiyaraaja used Gowri Manohari meticulously in his compositions. There are many addictive numbers in this raga. A brilliant example would be Boopalam Isaikkum from Thooral Ninnu Pochu. Rendered perfectly by K.J. Yesudhas and Uma Ramanan, this song has Gowri Manohari flowing throughout it. Maanguyile Poonguyile from the movie Karagaattakaaran also has touches of this raga. Unlike other melodious songs, this is a unique folk composition in which Ilaiyaaraja cleverly used this raga. Another enchanting composition is Muthamizh Kaviye Varuga from the Superstar Rajnikanth movie Dharmathin Thalaivan. K.S. Chitra and K.J. Yesudhas would have sung in their pleasantly honeyed voices. Adhikaalai Nilave from Uruthi Mozhi, sung by Jayachandran and S. Janaki, also has traces of Gowri Manohari. Other ingenious compositions are Solai Poovil Maalai Thendral from Vellai Roja, Sandhana Kaatre from Thanikattu Raja, Dhoorathil Naan Kanda Mugam from Nizhalgal, Thaazhampoove Kannurangu from Indru Nee Naalai Naan and Kannan Naalum from Ilamai Kolam. Gowri Manohari raga also incorporates the Hindustani raga Patdheep in many film songs. One of the famous composition by Ilaiyaraaja with Patdheep touches is the song Ponvaanam Panneer Thoovudhu from Indru Nee Naalai Naan. The song Kanna Varuvaaya Meera Ketkiral from the movie Manathil Urudhi Vendum also has traces of Patdheep.